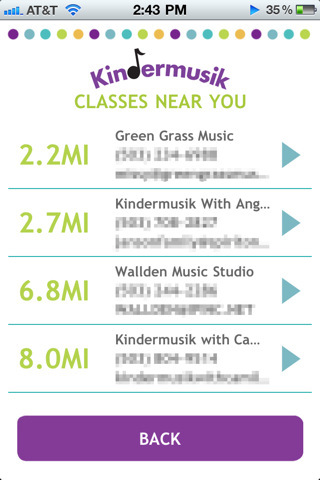 Kindermusik Radio has ARRIVED, and we have an app for that!! 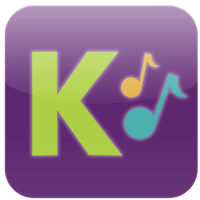 The Kindermusik Radio app offers a parent-child activity for every song, and each activity is designed to engage and entertain young listeners as well as stimulate early childhood development. 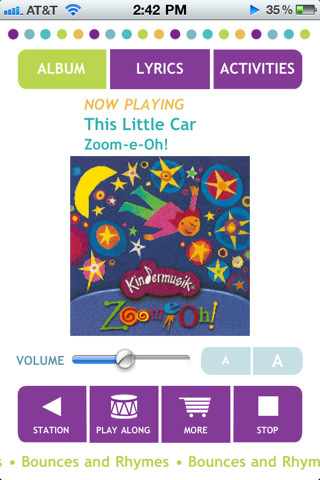 The Kindermusik Radio App is available for iPhones and iPod Touches for $1.99 in the iTunes store. 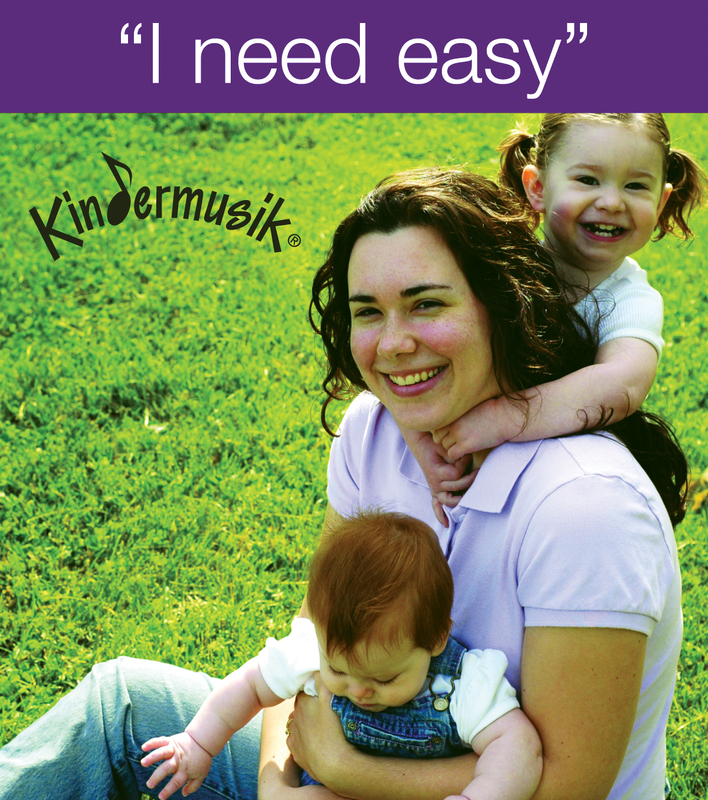 Try out our Kindermusik Radio App TODAY! You'll be glad you did! To read the EXCITING press release, just scroll down. Need a little more convincing? 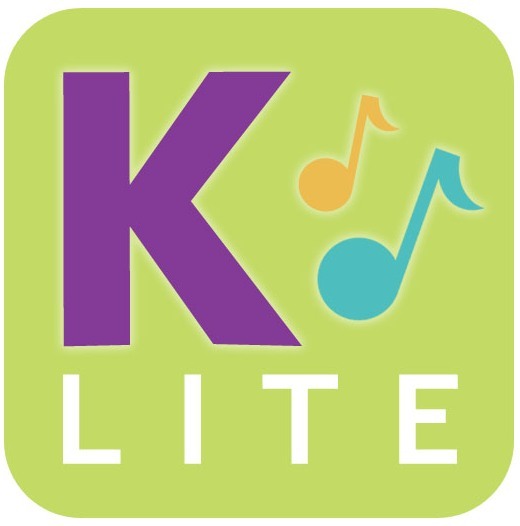 Try out Kindermusik Radio LITE which offers one station with ten songs only for FREE. Get ready to sing, move, listen, share -- ANYWHERE! 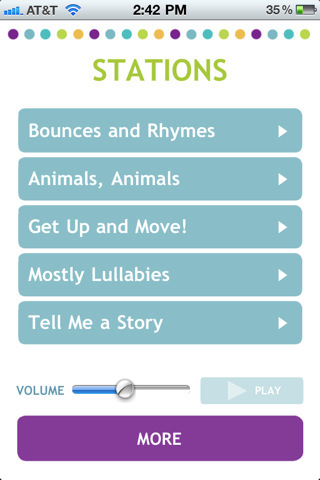 Night & Day Studios, makers of Peekaboo Barn, in collaboration with Kindermusik, the world’s most trusted name in early childhood music and movement classes, launches a new music player. October 1, 2010, Portland, OR. Dance, march, skip, and stretch. Swing your partner and then rock to a lullaby. Smile and laugh. 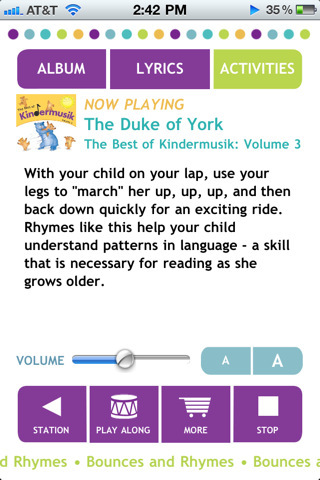 Like their music and movement classes, the Kindermusik Radio app provides parents with a way to engage and interact with their children - while training the brain and soothing the soul. Research shows that music helps children become better learners. Toddlers love to dance, swing and sing as they develop their motor and aural skills. Preschoolers strengthen neural pathways by making up songs and rhymes as their imaginations run wild. With 5 stations to choose from, the Kindermusik app will give you access to over 100 tracks, the very finest and authentic reproductions of classic children’s songs, nursery rhymes, and stories well as Kindermusik originals. The Kindermusik Radio app offers a parent-child activity for every song, each activity designed to engage and entertain young listeners as well as stimulate early childhood development. The activities are based on principles defined by the National Association for the Education of Young Children (NAEYC) and the Music Educators’ National Conference (MENC). 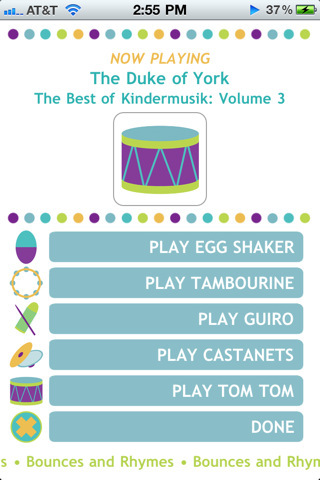 Kindermusik has over 30 years experience in developing early learning curricula and products based on the work of early childhood development experts such as Piaget, Montessori, and Greenspan, and the music education philosophies of Orff, Kodaly, and Dalcroze. Sing. Move. Listen. Share. Anywhere. --Night & Day Studios is based in Portland, OR and develops arts, educational, and entertainment apps. We have created 25 iPhone applications, including Peekaboo Barn and Kidopolis. More info can be found at: www.nightanddaystudios.com. Copyright 2010-2014 by Microtone Music Int’l, Inc.